When you need a floor that is capable of resisting the spills and accidents that go hand in hand with a busy family, look no further than Flaherty's Flooring America. We have a selection of luxury vinyl planks in Cypress, TX, that is hard to beat. Our company stands out among the competitors by emphasizing design assistance and quality installation from seasoned professionals. We firmly believe that everyone deserves beautiful new flooring that will last for years. When you partner with our team of flooring experts, you can get the ideal look for your home without the complications and hassles traditionally associated with the process. We understand that every client has different needs, which is why we take the time to go over your needs and desires when it comes to luxury vinyl plank floors before bringing out any samples. Our associates go over the pertinent questions about each room you want to overhaul and your expectations going forward. You’ll find the selection you need, regardless of whether you are looking to completely redesign your home or simply update your existing look. 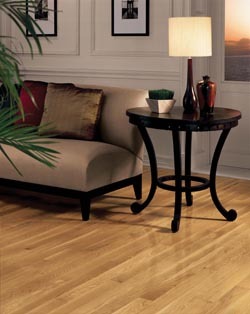 Luxury vinyl flooring gives you advantages that are simply too hard to pass on. With greater levels of give and resistance to stains and spills, vinyl can make a difference in your life. When choosing between vinyl tile and planks, it all comes down to appearance. Luxury vinyl planks are ideal for mimicking the look of wood and stone, perfect for those who want to add a touch of luxury with the benefits of vinyl. Let a member of our team of designers sit down with you to help find out which option is best for you. We’ll consider every possibility and help you make an informed decision on which type of vinyl to purchase. Luxury vinyl is a superior choice in flooring that will last for years. The best way to maximize its longevity and enhance its beauty is to seek professional help for installation. Fortunately, our team is here to help. We have a team of experienced installation contractors available for your services to ensure that you get the most from your new floors. With us on your side, your new LVP floors will look great and last longer than you ever thought possible. Reach out to us today for more information. Contact us for the beautiful LVP you need to perfect your home decor. We are proud to serve Jersey Village, Spring Valley Village, Cinco Ranch, Bellaire, Cypress, Texas, and the surrounding area.